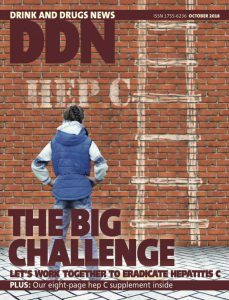 DDN has been established for 14 years and has a 10,000 print circulation and a readership of more than 25,000 as copies are passed around teams. We have 16,000 online readers a month, 4,500 email subscribers, and an active social media presence on Facebook and with our 9,000 Twitter followers. This circulation ensures that we are available not just to those working in specialist treatment but are also read by the wider health and social care sector, housing, mental health services, prisons and criminal justice.